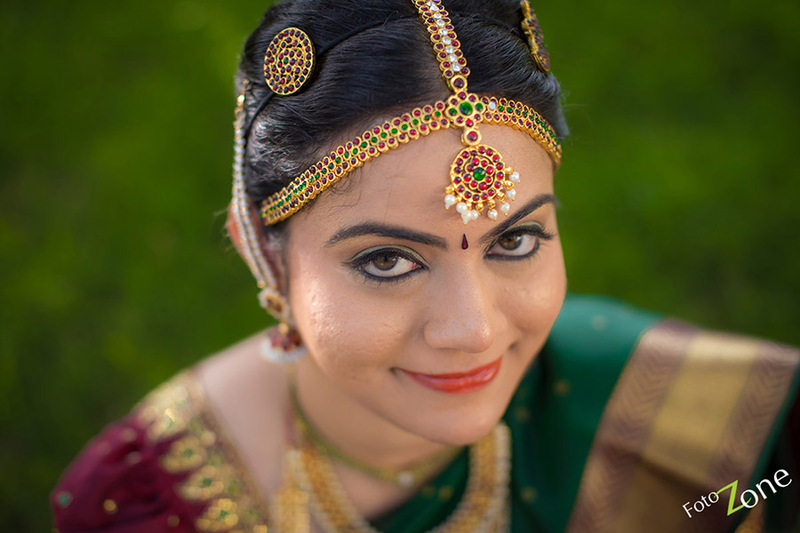 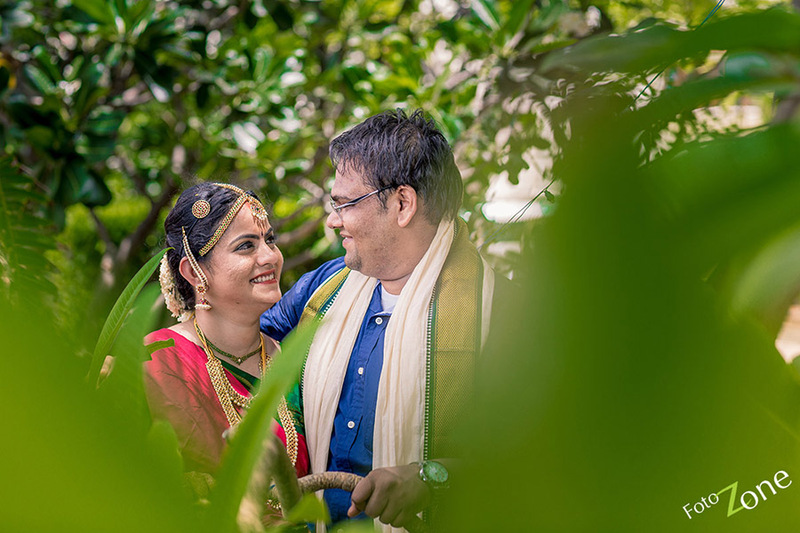 We had an opportunity to cover the wedding of lovely Tamil Brahmin couple. 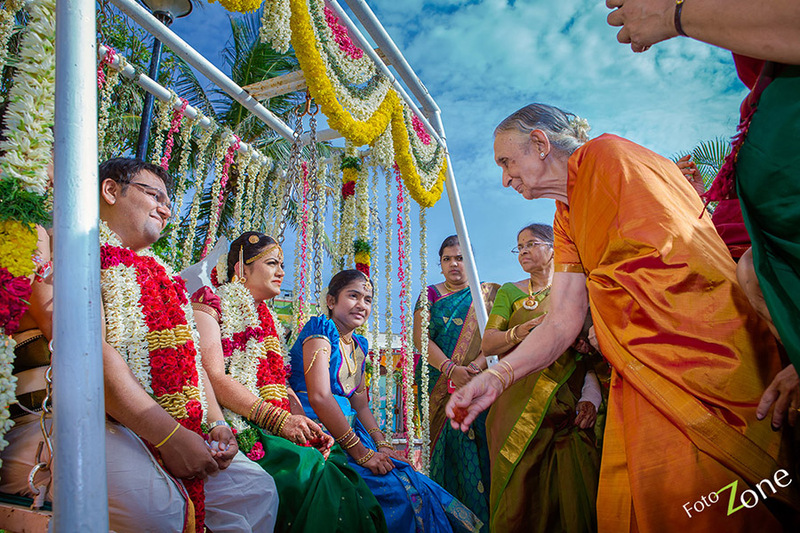 Since the wedding was conducted outdoors on a stage set near the beach and under a Yellow Tent which made-up the roof, it gave a lot of scope to play on the outdoor lighting. 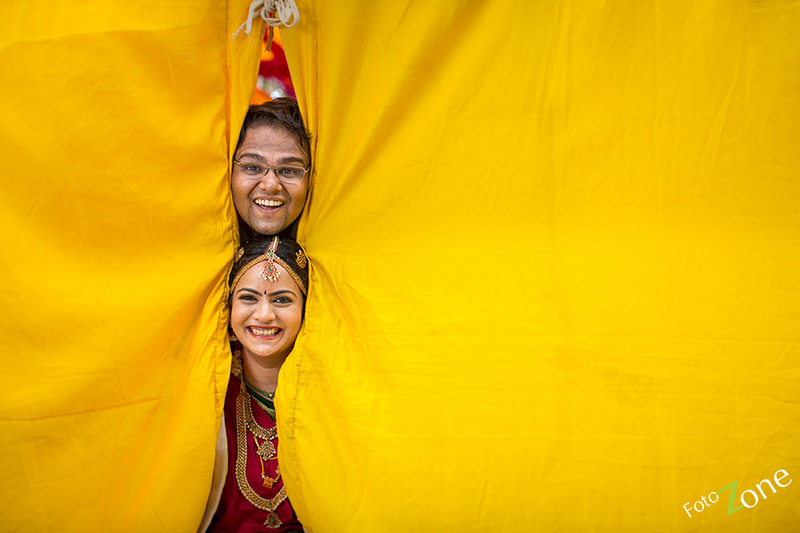 All the photos taken right through the marriage ceremony, have a warm tone because of the Yellow Tent which added a good ‘feel’ to the pictures. 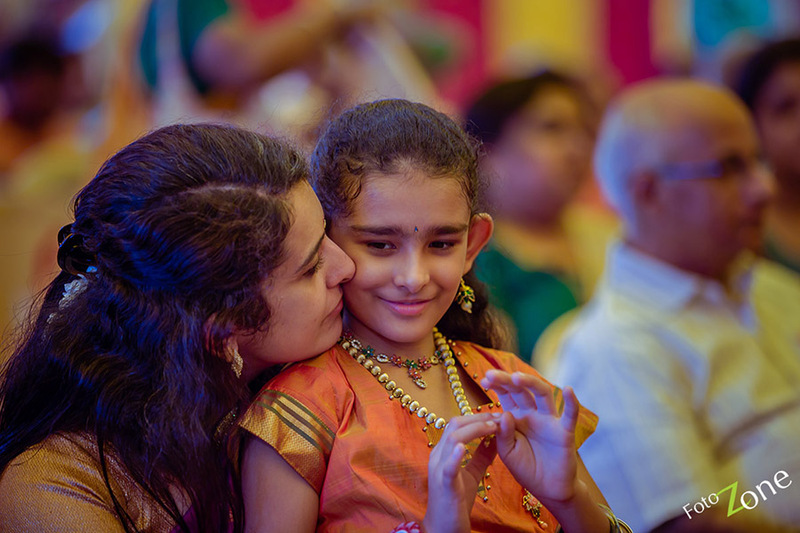 While shooting candid photographs, if the ambient lighting is good, newer angles could be explored and wonderful candid moments captured. 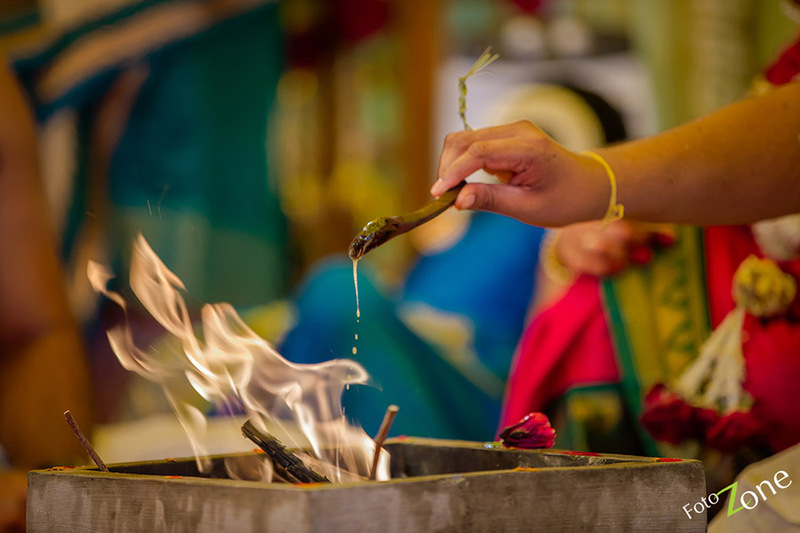 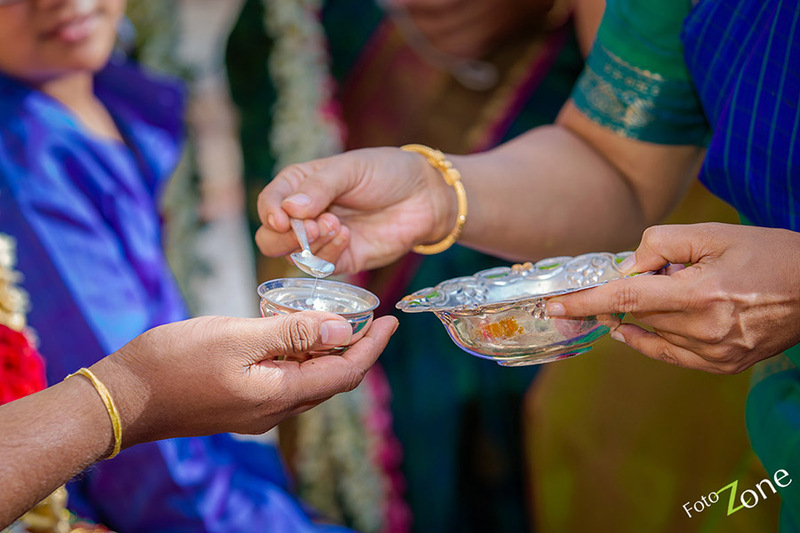 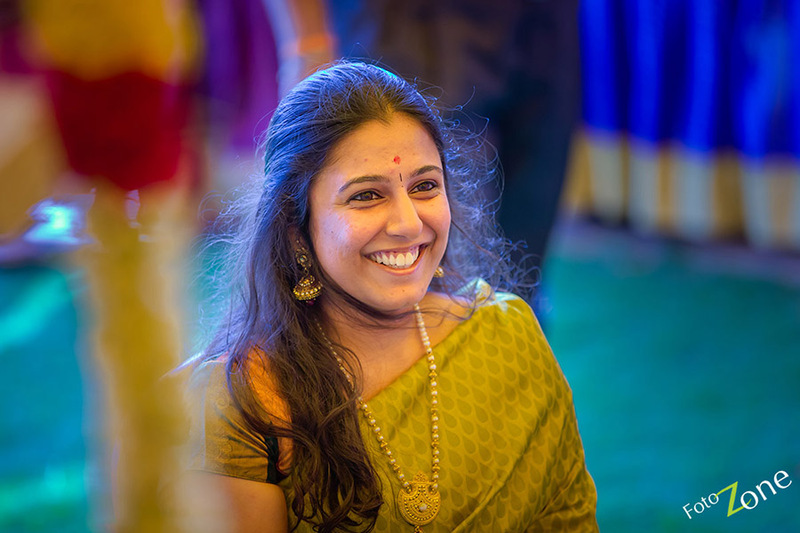 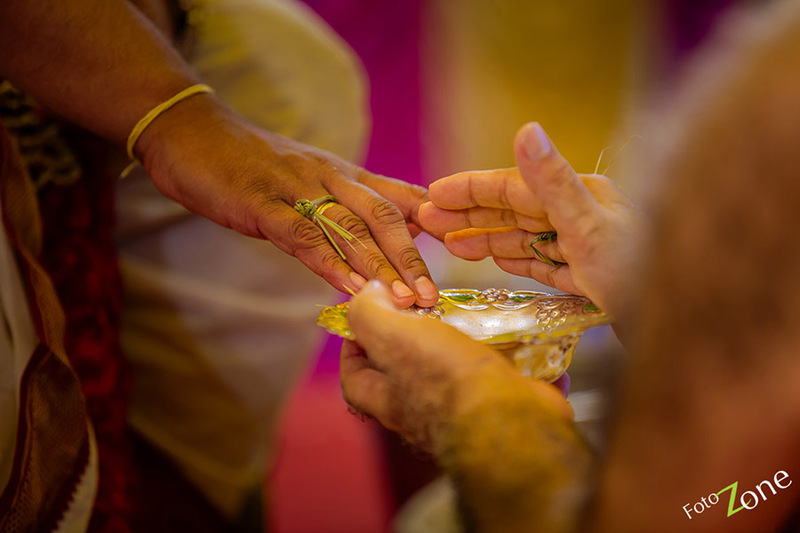 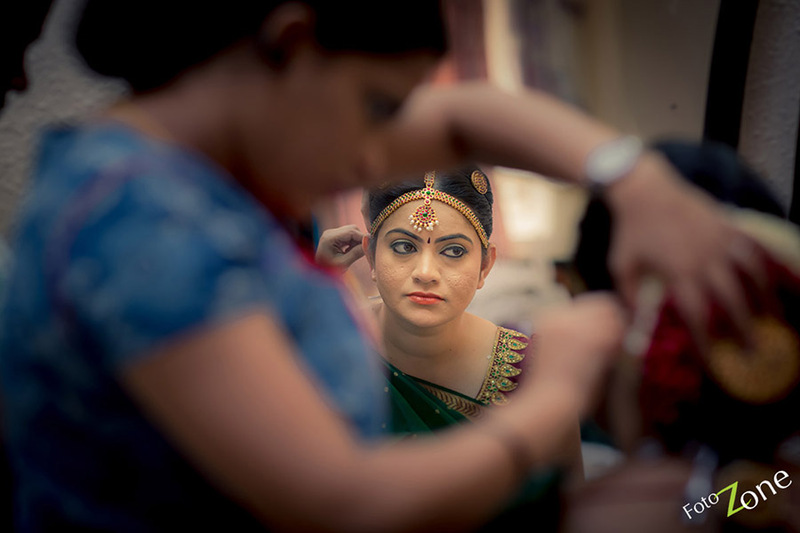 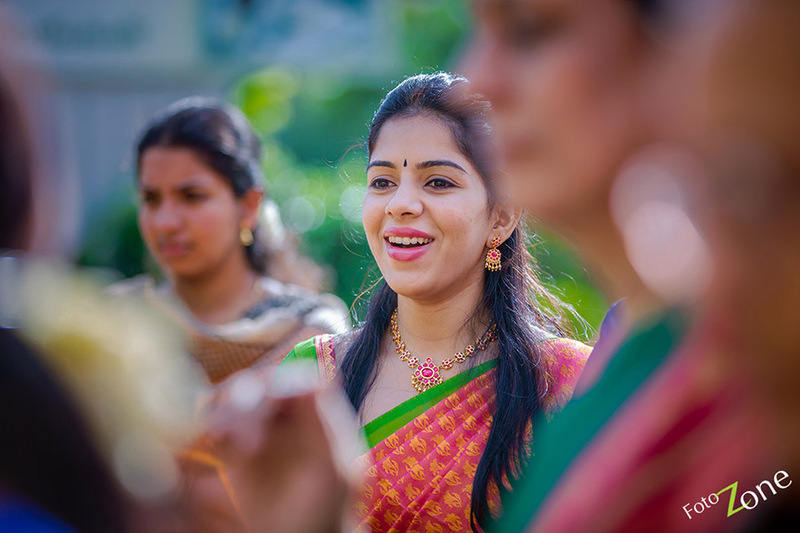 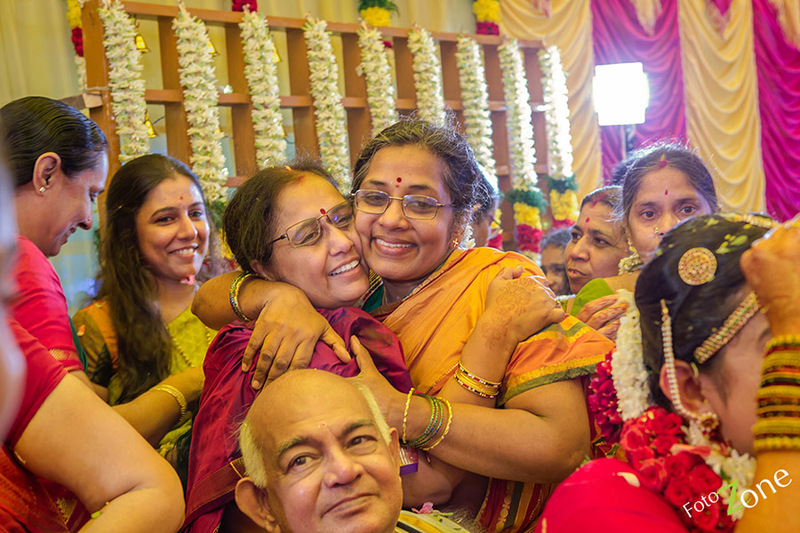 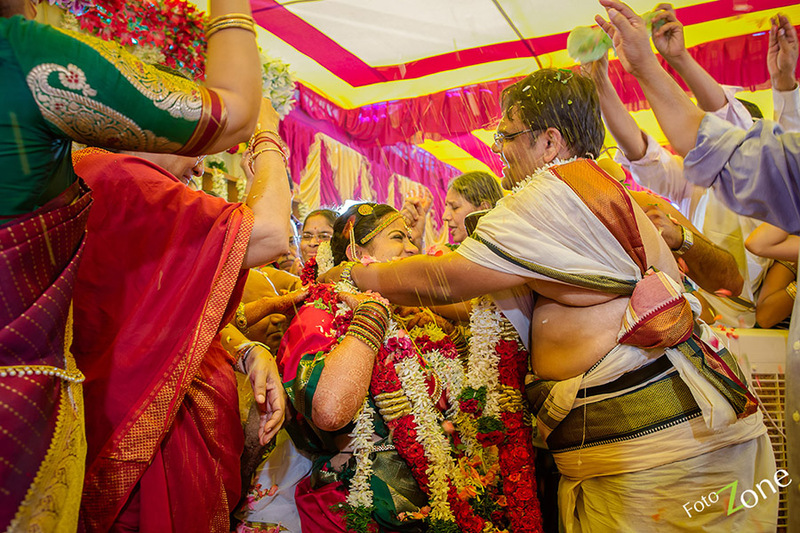 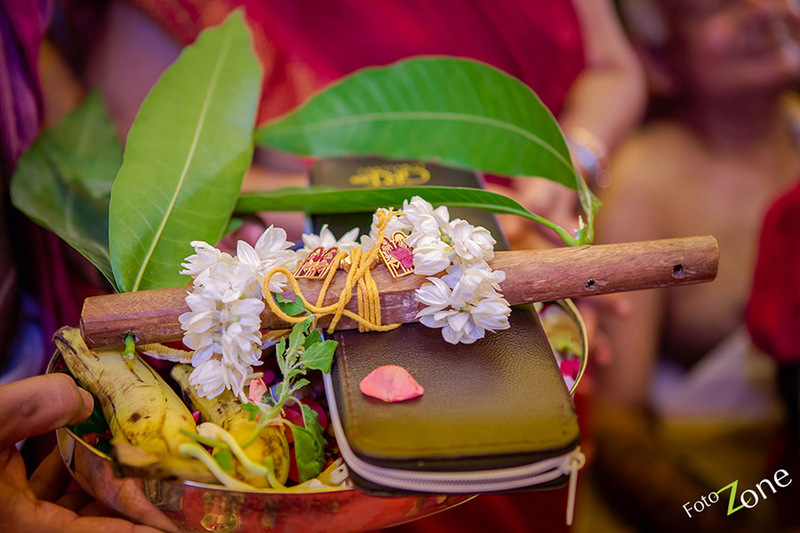 When compared to other weddings, especially in a Brahmin wedding there is always good scope to capture candid moments. 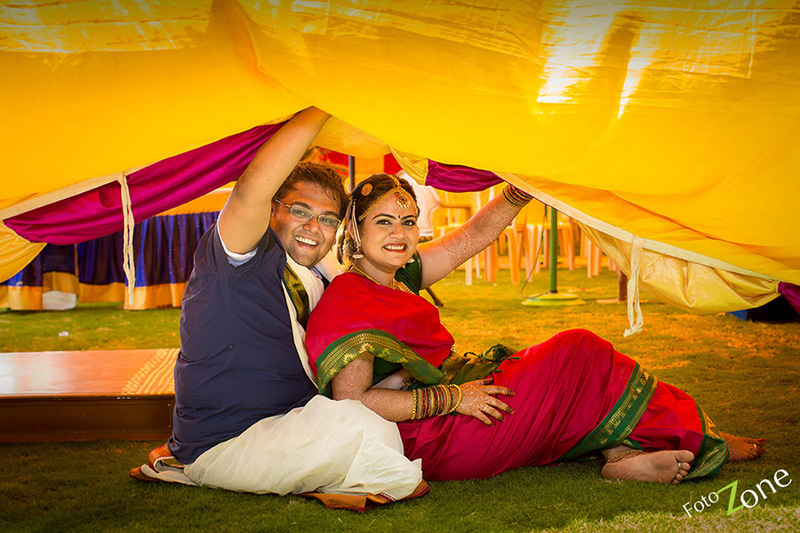 Finally it was the portraits session and the bridal couple was made stand under the Yellow Tent which made for some very good and creative portraits which left the married couple really ecstatic.